"Minister Halvdan Koht is happy to announce that, after numerous exchanges, Norway, along with her friend Denmark, has signed a treaty with Germany guaranteeing peace and stability between our nations." said a spokesperson for the Ministry. "In a time where peace and stability is needed most, yet again Norway has stepped up to bring peace and security to our nation and for Great Scandinavia. We would like to thank our steadfast friends from Denmark, as well as our new and future friends from Germany." No further terms have been disclosed, but the spokesperson did go on to clarify Norway's current neutrality. "This agreement will bring benefits to all nations involved. Norway is a peaceful nation, and a neutral nation. We will currently take no sides in the current conflict, and maintain our wish and call for peaceful resolutions to be sought. It is our foremost goal to protect the people of our Kingdom of Norway." "Lions make you brave; Giants give you faith; Death is a charade; You don't have to feel safe to feel unafraid"
Last edited by TimTracey; 01-23-2019 at 03:33 PM. Czechoslovakia declares war on Germany. Albania declares war on Germany. Yugoslavia declares war on Germany. France ends diplomatic relations with Germany. Prime Minister Neville Chamberlain loses no confidence vote. London Conference ends with no results. Multiple nations leave the League of Nations. German-Scandinavian Friendship Pact is signed. The League of Nations is disbanded! Turkey leaves the Balkan Entente. A metric crap load of weapons and munitions just show up on Icelandic shore. The Emergency summit on the 6th April, summoned in Paris, had not lead to the peaceful result France had hoped for. Germany’s sudden, and clearly planned, invasion of Czechoslovakia over the issue of the Sudetenland caught much of the world off guard. The fallout of such an action was swift an unmistakable. As a member of the Balkan Entente, it was of little surprise when the rest of the pack declared war on Germany in return. Much of Europe, however, could only condemn the actions of Germany. Though the populations of both Britain and France were mostly against war, the manner and surprise of Germany’s invasion of Czechoslovakia sent a wave of horror across the two nations. In Britain, Parliament saw a vote of no confidence ouste Prime Minister Chamberlain and Winston Churchill rise to the post after Lord Halifax declined to step up. France saw the quick swapping of Prime Ministers with Édouard Daladier take office on the 10th. Both men began to push for greater unity within their nations against German actions to resounding success. France even went so far as to send scout planes into German air space, who were swiftly turned about without any shots being fired. If things kept up, things looked to possibly escalate in this war. The issue of war in Europe had also resulted in many nations leaving the League of Nations, including the great powers of France and Britain. With other nations walking out the door and there being little hope of ending this conflict the League of Nations was disbanded on the 26th April 1938. Manchuria, Ethiopia and now Czechoslovakia had finally broken it’s back. Britain was quick to step forwards and issued summons to London were it attempted to propose the establishment of a new League. Sadly though what Britain proposed was just too grand and not yet thought through. Many Nations attend the summit were simply not impressed by the propositions made and withdrew before the summit could be concluded. There are some though who suspect that one of the propositions, a united armed force for peace keeping, was a ploy to expand British imperialism. The loss of the League of Nations was like a cannon shot across Europe for the end of efforts to prevent war. It was clear that the German invasion of the Sudetenland was going to resolved through blood and iron and not pen and paper. Where one war begun, another ended. The Treaty of Madrid was signed by the Spanish States and the Republic of Spain on the 10th April 1938, saw an end to the almost 2 year long war. The treaty was not one many expect to come about from the war. Though many expect things to end with the utter annihilation of one side. Instead, leaders of each faction met and managed to come to something of a peaceful agreement with the signing of the treaty. The rebirth of the Kingdom of Spain was seen as a step forwards for peace in Iberia and Juan de Borbón, son of the deposed king Alfonso XIII, was seen as the best choice to take up the up crown. However, it was clear who was giving terms in the agreement as the Spanish States took what could clearly be seen as the controlling seats in the new government. It was soon even clearer what the plan had been with the signing of the treaty. Known communist from the Republican army were rounded up by Nationalist and their previous brothers in arms of the Republican army and placed under arrest. It was clear that the Republican leaders had never wished to become so closely associated with communism and that signing the Treaty of Madrid was in their better interests than trying to win the war and risk becoming a communist nation. Foreign nations on both sides began their efforts to leave with Soviet Volunteers taking nearly all the supplies they arrived with back with them. The Condor Legion though found themselves in a deeply awkward situation. When it came to their return home, Spanish troops tried to seperate them from their equipment claiming that it was to be transported on a later date. Though the German commanders understood that they could not take their heavier equipment with them their on the troops transports, the fact that the Spanish insisted it would depart on a later date, but had to be handed over immediately, German commanders smelt a rat. They returned to quarters and set up a perimeter around their barracks and equipment saying they would not permit a single Spanish troop near to them and they would wait for the Kriegsmarine to pick them up. Recent actions in Finland, gone unnoticed by much of Europe, finally came to light. The Isänmaallinen Kansanliike burst into near open revolt following the government’s announcement to Estonia that called their proposition “anti-Russian”. The decision of President Risto Ryti to try and be lenient to the IKL and it’s members had horribly backfired on him and now much of the nation was swamping to the banner of the thought extinct group. Under massive pressure from the IKL, President Kyösti Kallio agreed to begin talks with their leaders during May. What was to come of the talks was anyone’s guess but the IKL’s strong nationalist agenda caused worries for its neighbours. In other news. Farmer Ólafur is now the most well armed man in the world after finding close to half a million different rifles and small arms, artillery pieces and ammunition on the beaches of Iceland. Nobody has no idea how it got there, but authorities are now in negotiations with Farmer Ólafur for the handing over of his stockpile which he has begun defending with the rifles from said ships. The German army carried on it’s push into Czechoslovakia with all speed, particularly in Southern Moravia. German Panzer and Panzergrenadier Divisions were halted at Havlíčkův Brod. Czech tanks set upon the lead elements of the advancing German army with extreme prejudice. The Czech LT vz. 35 made short work of German Panzer I and IIs, but found themselves bogged down by the Panzer IIIs and IVs.Still, though out classed, they smashed the German spear head and began to drive them back. Day by day the German offensive into Southern Moravia was pushed back with heavy losses to both side. Soon though the Germans regrouped and with close air support took the initiative back. Both the German 5. Heer and Czech 4. Armáda broke one another’s noses in tank and infantry engagements that saw them drive one another into a stalemate as Romanian troops began to reach the front lines. In the North, Liberec, Ústí nad Labem and Karlovy Vary fell into German hands. Despite the heroic defensive put up by the troops in the region the crippling airstrikes and risk of being encircled by the German tanks punching through their lines lead to a general retreat being ordered. Soon the German attack began to pick up momentum as they drove the Czechoslovakian Armies before them. Though parts of the 1. and 3. Armádas fought daring rear guard actions, the recently raised 5. Armáda was not enough to slow the German advance which reached Prague on the 12th April. The city, though ready to fight, saw no reason to submit the civilian population, which had been unable to evacuate, to such a horror and surrendered on the 14th April after it was surrounded. Not long after though the German advance was halted by the arrival of Romanian forces. Moving swiftly to support their allies, the speed at which the Romanians has arrived caught the German 3. and 4. Heer off guard and resulted in unneeded losses as the leading units, having out stripped sufficient support, threw themselves into the Romanian Armata I and were thrown back. Though the Czechs wished to counter attack, it was clear that the rushed advance of the Romanians had tired them and the mauled and disordered state of the Czechs left them unable to as well. The Československé letectvo finally saw some success. As soon as the remainder of the Balkan Entente declared war, their air forces had taken to the skies. Such was the volume and frequency of dog fights that German close air support was heavily reduced. Still the Luftwaffe did not take the new challenge lying down and fight like lions. Romanian and Czech pilots put up a grand show of themselves after the slaughter of the opening days of the war in the air. Yugoslavia also was swift to act on their declaration of war. The Ваздухопловство војске Краљевине Југославије (BBKJ) went to actions attacking German airfields along the Yugoslavian-Austrian borders. 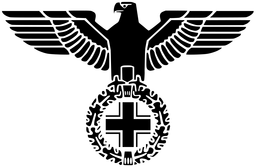 In response the German 6. Heer was deployed to the borders and not a moment too soon. They arrived as the Yugoslavians launched a general offensive along the whole front. It was clear, however, that both sides were rushing in their actions with the recently mobilised Југословенска војска rushing to take pressure off their allies and the arriving 6. Heer having to rush onto the defensive. Both sides began a bitter struggle with one another along the border, but soon the 6. Heer began to give ground. Meter by meter the sheer scale of the Yugoslavian offensive was too much and with most ariel assets assigned to Czechoslovakia the BBKJ was able to hold the upper hand. Hitler and his Generals had clearly not counted on the size of Dušan Simović’s balls to launch an offensive so quickly with so many troops. Soon the 6. Heer was fighting an organized withdrawal and giving ground as they went. As the month drew to a close it was clear that Germany held something of the upper hand, but that with the arrival of the allied forces things were looking more balanced. Losses were heavy across all fronts with Germany losing 12,300 men, 98 tanks and 148 planes; Czechoslovakia losing 11,200 men, 53 tanks and 76 plane; Romania loosing 1,020 men, 13 tanks and 32 planes; and Yugoslavia losing 8,600 men, 31 tanks and 27 planes. Last edited by Bravescot; 02-04-2019 at 05:23 PM. 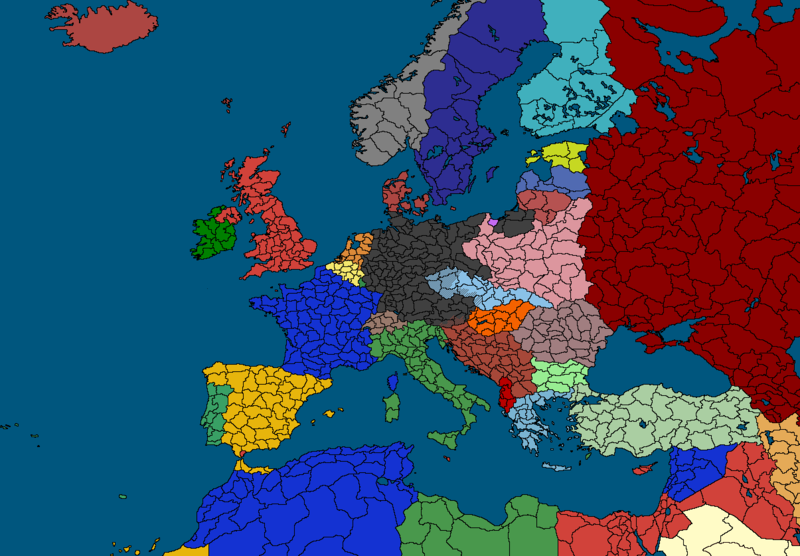 The Czechoslovak Republic leaves the League of Nations! The Republic states Today that it will henceforth leave The League of Nations. Following its collapse due to its inability to prevent war, and the Absence of all major powers. Following the Sucessful German invasion of most of Bohemia, and the fall of Prague. 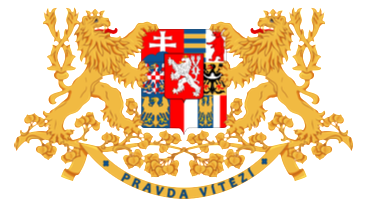 The Czechoslovak Government, including the Chamber of Deputies, the Senate, and the Prime minister have set up temporary government offices and buildings within Žilina, to continue to govern and support The Republic, and the war effort. President Beneš however, has stayed with the Czech general staff to help coordinate the defense and inspire the men. Following the loss of Skoda and most industrial bases in the nation, and the severe lack of new military equipment being produced. The Czechoslovak Republic moves to ramp up the industrial infrastructure of military equipment in Slovakia. To help bridge the gap and provide ample equipment to support Czech armies in the Field. Once operational, these factories are to produce ammunition, artillery shells, and equipment to keep The Czechoslovak Army Operational. Suez is blocked to Germany! The British Government has blocked the Suez Canal yesterday to any and all German ships military or civilian. This will effectively cut off Germany from half of the world. Lord Marshal General Alan Brooke has awarded Romanian General Gheorghe Avramescu of Armata I with the Distinguished Service Order, a level 2A medal for excellent and gallant leadership during war. Britain congratulates Romania on their military's prowess and expediency. Royal Navy is placed on Emergency Alert! Yesterday, the Royal Navy was placed on Emergency Alert Status and has begun patrolling the English Channel. Any ship that enters the English Channel and does not identify themselves properly during this time will be considered hostile and forced to turn around. During this alert, no German ships are allowed in British territorial waters. Last edited by MajesticBiscuit; 02-09-2019 at 04:28 AM. Reason: Bolded nation action titles. Germany sends an Ambassador to Ethiopia to review Italian troops after their Victory in Africa, then on to Rome to speak with Il Duce. Germany using the power of airplanes, flies an ambassador on a tour of new Italian holdings in Africa before returning to Rome to meet with Il Duce and discuss the state of tensions on his Eastern border. Germany calls for a summit with the Entente to see if they will see reason. Germany has only ever wished to right wrongs committed in the last war, we wish to seek a compromise as had been put forth before war became inevitable. If the Entente wishes to talk Germany will always be willing to send a representative to discuss peace. 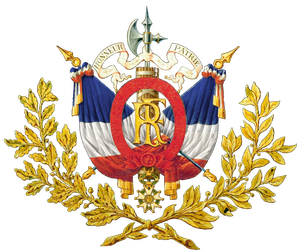 His Majesty King Michael I confirms that a state of war now exists between the German Reich and the Kingdom of Romania, as a consequence of their cowardly invasion of our ally, the Czechoslovak Republic. 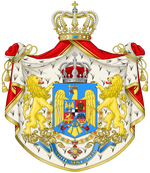 The Kingdom of Romania formally refuses to attend the German "summit". "The hypocrisy of the German government is unimaginable. First, they invade a much smaller country, during a summit that aimed to prevent this very thing, then they decide to call for a summit, to see if we "will see reason". In our eyes, the only reason our peoples see is to continue fighting until our brothers and sisters in Czechoslovakia are free again from the cruelty of the invading barbarian hordes. Thus we kindly inform the hypocritical German government that we have no interest in partaking their summit." declared Prime Minister Ion Antonescu. The Czechoslovak Republic Refuses to attend German Summit! 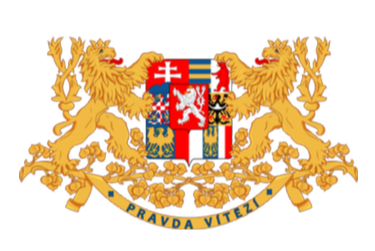 The Czechoslovak Republic formally refuses the German Summit. To bring notions of peace with The Republic, after a planned invasion and threatening diplomacy. The German Reich has no right to call for a summit to “discuss peace.” The Reich has started this bloody and unjust war, and the Czechoslovak Republic and its devoted Balkan allies intend to finish it! Dlouhé žít v Československé republice! Pro Prahu, Čechy a Republiku! Over the course of this month joint naval exercises between the navies of France and the United Kingdom are to be undertaken. These exercises are to take place in the celtic sea which has been deemed suitable by both parties. The Vice-Amiral has been quoted saying he is enthused to witness the out come of these joint exercises. Over the past few days French and British officials have been engaged numerous talks. With these talks successfully concluded the Government can now announce that all German shipping access through the English channel is to be henceforth denied. As part of this decision a joint government warning has been issued stating that any German ships caught trying pass through the channel will be turned away, seized or sunk. Any successful attempt by German shipping will be met with harsh reprisals. Our governments have warned Germany to cease their senseless war and will warn again before we are forced to undertake more measures against them. With frustrations over current affairs the government has decided to allocate extra funding for the increased production capacity for arms and equipment. With war between the German Reich and members of the Balkan Entente raging just beyond our borders the illustrious Duce of Facism His Excellency the Prime Minister and Saviour of Italy Benito Mussolini has called for the Gran Consiglio del Fascismo to convene in the Palazzo Venezia to debate our united response to such transgressions as those that are currently taking place on our frontier. 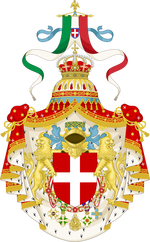 Notably absent from the meeting is the Foreign Minister and Son-in-Law of Il Duce Count Ciano who will be flying first to Paris in order to have talks with the new Prime Minister Daladier in regards to the French stance towards Germany, and then onwards to Madrid to deliver His Majesty Vittorio Emanuele III's and Il Duce's congratulations to His Majesty Alfonso XIII on having ended the conflict in Spain and united His people behind the restored Spanish Monarchy. In opposition to earlier statements made by the Italian Government in regards to plans for downsizing our armed forces following the glorious victory of the Regio Esercito in the Second Italo-Ethiopian War, we no longer find it responsible for the successor to the military might of the Roman Empire to let down it's guard in times such as these where our neighbours are embroiled in a bloody conflict. Thereof comes the need for our Italian Legions to reassemble so we might discourage any foreign aggressor from enroaching on sacred Italian territory, that which has been won by the blood of our ancestors shall remain forever protected by the strenght and vigour of our facist Italian youth which remains ever united on alert under the infallible leadership of our beloved Duce. The just Italian claim on Libya was never in any doubt, as being the true successor to the might and heritage of the Roman Empire our rightious war of 1911-12 was only the fair re-establishment of control over a former province under the control of illicit Ottoman usurpers hoping to profit off what was and always will be the territory of Italy. Indeed the bond between mainland Italy and the territory of Italian North Africa is so strong that it is only right that it be cemented further, under the guidance of our trusted Governor-General Italo Balbo Libya has experienced unprecedented economic growth with many projects having been undertaken to improve conditions and infrastructure, many Italians have emigrated from the mainland to the exotic shores of North Africa where they now live in harmony with the pro-Italian native population bringing us ever closer to establishing Mare-Nostrum. Drawing inspiration from the French development of Algeria the decision has therefor been taken to integrate Libya directly into Metropolitan Italy creating it as an integral part of our state and is thus no longer to be considered a colony, the fourth shore has been secured! Long live Il Duce! Avanti Italia! Last edited by Valdounet; 02-18-2019 at 10:02 PM.